I’ve seen a lot of articles on the net about tips on how to become a Hafiz. But I’ve yet to come across any which deals with what to do after one has attained that – how does one thereafter adequately maintain one’s Hifz? Because that is really the hard part. 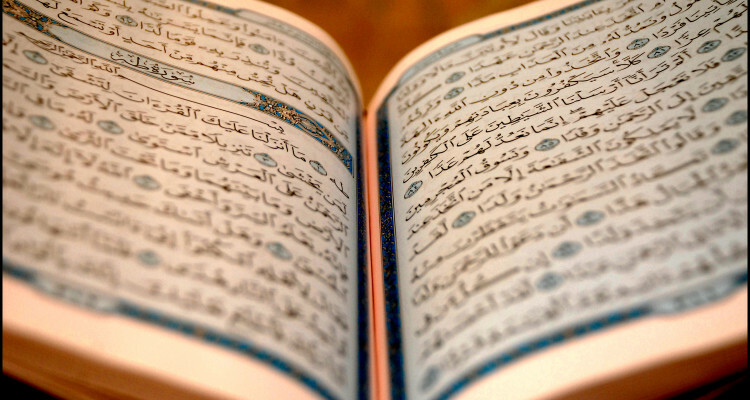 Becoming a Hafiz is challenging enough, but the prospect of retaining the Quran in ones heart for the rest of ones life – that is the real difficulty. So ins-ha Allah, hopefully this will be of some help in that regard. Becoming a Hafiz is unlike attaining any other degree or diploma. In high school or university, it’s all about passing the exams. Then once that is done and graduation is complete one can relax and forget about all the things learnt before. You’ve got the degree so what do you have to worry about now? No one really cares if you actually remember anything of what you’ve learnt. The piece of paper which says that you’ve learnt it is all that people care about. Unfortunately, it seems that some people have taken this same attitude with regards to Hifz. A lot of emphasis is placed on completing the Hifz and not enough attention is placed on what happens after that. And this is a disastrous step to take because in Hifz there is no let up. There is no relaxation. One has to constantly be revising. If you think that after you complete your Hifz, that you can take it easy and relax a bit, then you would be surprised at how easy everything you’ve memorised can be forgotten. The years and years spent in memorising can all be undone in a matter of months, if not weeks. 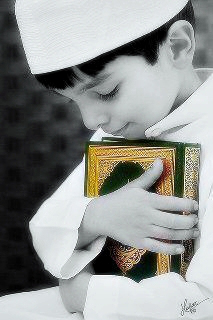 The Prophet (saw) is reported to have said: “Make a habit of reciting the Qur’an. By the One who has my soul in His hand, it slips away free quicker than a camel gets loose from its hobble.” (Sahih Bukhari) So this is the attitude one needs to have: if a camel is let loose you would constantly need to keep a watchful eye on it to see that it does not run away. In the same way, you should always be fearful that the Quran could escape from your heart if you do not constantly pay attention to it. You should allow the love for the Quran to enter and settle in your heart. This is done by listening attentively to it and pondering and reflecting deeply on its meanings. Both of these actions are commanded in the Quran itself (7: 204 & 47: 24). You should also reflect upon the beauty of the Quran. Merely claiming to love the Quran does not make it true. Every Muslim would say that he loves the Quran but this claim would only be true if the evidence for it is to be found. One of these signs is that one loves to listen to the recital of the Holy Quran. Its recitation should bring joy and tranquility to your heart. Reciting the Quran should also have the same effect. Your heart should be restless and uneasy should a day go by without having recited at least a little bit of the Quran. But merely listening and reciting the Quran is not enough. One should also ponder over its meanings. How can one say that he loves the Quran whilst he remains ignorant of what it contains? This is like one who claims to love a woman but he does not know anything of her personality, her likes and dislikes, and so forth. This then is mere superficiality. So it becomes necessary to also acquire a desire to learn the Arabic language. This is the language of the Quran and is the key to understanding it. There are translations available but these cannot act as a substitute for the original. They may and should be used by those who don’t know any Arabic, but this should not cause one to feel that there is no need to learn Arabic. Without Arabic one cannot truly appreciate the beauty of the language, style and rhetoric of the Holy Quran. One also will not be able to fully grasp the meanings it conveys. It is said that the cause for Imam al-Shafi’is forgetfulness was that he happened to see the ankles of some strange woman. Subhanallah. How much worse things don’t we see on a daily basis? So it may be derived from this that it is especially important to guard the gaze from looking at evil things. 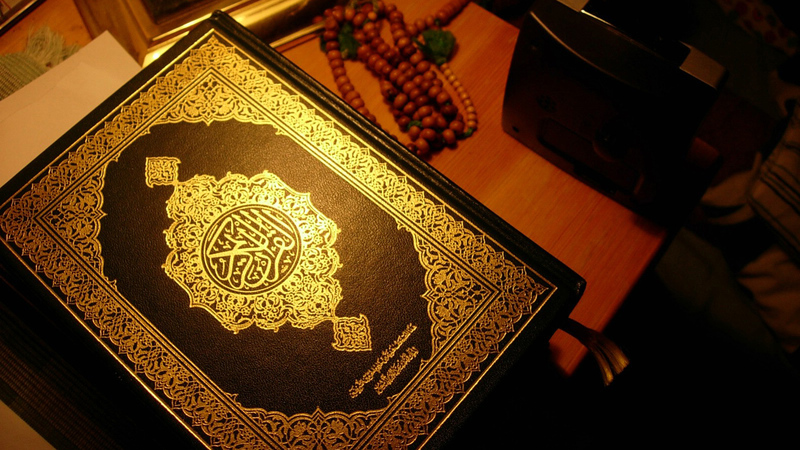 The knowledge of the Quran is a great bounty from Allah (swt). It is a Light, a Guide and a Mercy. Don’t you then see that it is unworthy of being preserved in the heart of one who is a sinner? So you should always be seeking forgiveness for your sins, lest the knowledge of Quran be taken away from you. O Allah! Don’t cause us to lose the Quran on account of our sins. 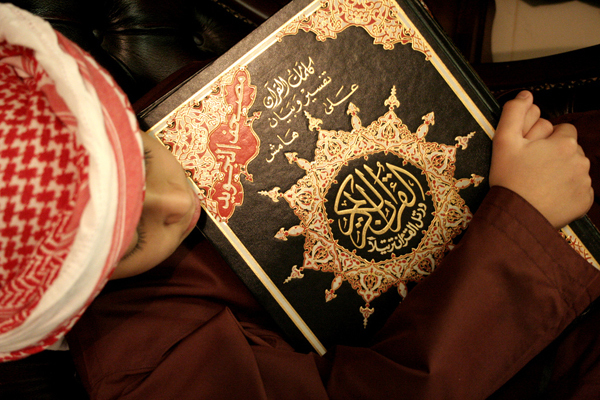 It is necessary to get into a routine of daily recitation of the Holy Quran. Without this, there can be no hope of maintaining the Hifz of the Quran. This is the most obvious thing but it is also one of the hardest. Whilst one is busy learning Hifz there are other people – ones teachers or ones parents – who will see to it that you learn your work. There are people checking up on you, standing behind you and encouraging you. Your day would revolve around the Quran. But after you complete your Hifz you won’t have all of that anymore. There won’t be anyone who will ensure that you keep on revising – it will now be up to you. There will also be many more distractions facing you, such as school or work. And that is what makes it so difficult. It requires self-discipline. So it is essential that you get into a routine and stick to it. You should have a target, a set amount of days, for which it will take you to complete a recital of the entire Quran. If it so happens that you fall short on one particular day then you have to make up the shortfall during the rest of the days. But you should always see to it that you complete the whole khatm in the time that you have allocated for it. It is no use in mentioning any particular numbers here for how long this should take you. This is up to you to decide but obviously, the more you recite per day the better. How much time of one’s day is not wasted in commuting? In traveling to and from work? Instead of being idle during this time, one could use it to listen to recitations of the Quran. Nowadays everyone has a cellphone and they always keep it by their side. So put the Quran on your phone and whenever you have a spare moment then listen to its recitation. This is also a great way of strengthening ones revision. Just by listening to the Quran it becomes so much more firmly entrenched in ones memory. It is important to choose a reciter who has good tajweed. But more important than that is to choose someone who you like listening to, so that you would look forward to being able to listen to his recitation. 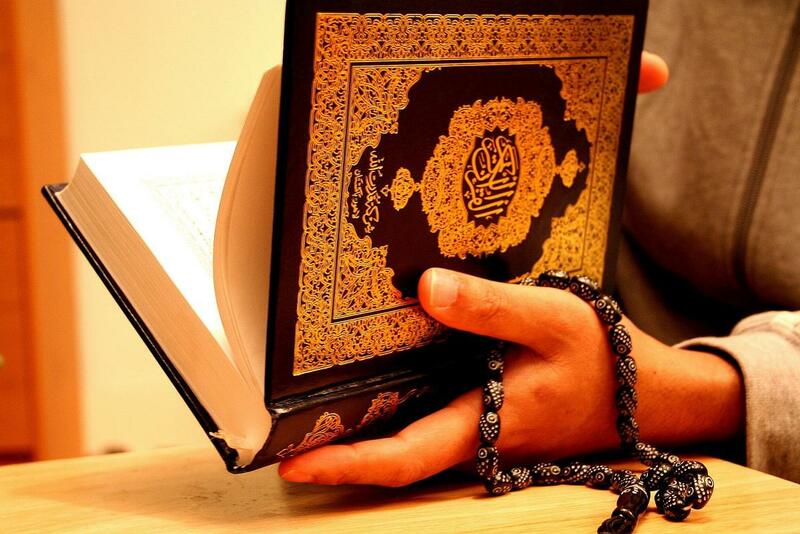 Reciting Quran is itself a great act of ibadah. So too is performing Salah. So how much better then to combine these two deeds? And there is no better time or situation in which to recite Quran than whilst engaged in making Salah. If you recite only a half a page to a page during each raka’ah of Salah, then you could easily complete an entire Juz during the course of the day. Ramadaan is the month of the Quran so you should use it to greatly increase your recitation of the Quran and to improve your Hifz. It is said that Imam al-Shafi’i used to complete two recitations of the entire Quran every day during this month – one during the day and one during the night. This just goes to show how much attachment our pious predecessors had towards the Quran and we should strive to emulate them by also increasing how much of the Quran we recite in this month. You should also see to it that you lead the Taraweeh Salah during this month. No ‘ifs’ or ‘buts’ about it. Having to recite in front of a congregation of people will force you to make sure that you know your Hifz well, since no one would like to be embarrassed by making constant mistakes during the Salah. It is a good indication for you how well you know your Hifz and also the reward for it with Allah (swt) is very great. O Allah! Fill our hearts with light through the Quran, beautify our character through the Quran, save us from the Fire through the Quran and enter us into Jannah through the Quran. Allahumma dhakkirnaa minhu maa naseenaa, wa ‘allimnaa minhu maa jahilnaa. and teach us that which we are ignorant of it. These last two ahadith are weak. Death is approaching quickly. Soon we will be raised up to face the Reckoning and that will be the most severe day we will ever endure. That is the day you would see every woman giving milk to her child casting aside that baby. Every pregnant woman would miscarry and abort her baby due to the frightfulness of that day. On that day you would see mankind as though they are drunk, even though they are not – it is just that the punishment of Allah is so severe. That is the day on which children will turn grey-haired out of fright. Its terror is so great that even though people will be naked, they will not be aware of that. So on that day everyone will be running around looking for something – anything – to assist him and to save him from the punishment. He would go to his parents, his wife, and his children – all the people dearest to him in this world who previously would have done anything to help him. But on that day they would flee from him, caring only for their own selves. Allahumma nawwir quloobanaa bil Qur’an, wa zayyin akhlaaqanaa bil Qur’an, wa najjinaa minan Naari bil Qur’an, wa adkhilnaa fil Jannati bil Qur’an. O Allah, illuminate our hearts with the Quran, beautify our character with the Quran, save us from the Fire through the Quran, and enter us into Jannah through the Quran. Sunan Abu Dawud. Two of the people in the chain of this hadith are classified as weak.